I will soon be a senior. When is the best time to book my own Ultimate Senior Portrait Experience? We highly recommend scheduling your session the summer before your Senior year begins. Once school starts, schedules can be hectic and finding the time to get it done can be troublesome. Our Fall dates book well in advance so waiting until the last minute might cause you to miss the opportunity to be photographed by us. Do it in the summer and you can check one big thing off your Senior Year “To Do” list. All it takes is a phone call and payment of the session retainer fee to book a session date. We will also schedule your pre-session consultation at the same time. We can’t wait to plan out your session with you in person! You’ll get to tour our studio, see all of our high quality print products and of course, tour (shop) our fabulous Style Closet! What is the pre-session consultation? We will meet face to face at our studio and plan out your senior portrait session with you in detail. We will select the perfect locations, discuss your outfit choices and give you some great tips on how to prepare for your special day so it is totally stress free. You’ll also get the opportunity to view all of our high quality products which are on display and see exactly what you will get when you place your order. You get to also get to shop our amazing Style Closet which may help with some of your fashion choices. We have lots of designer clothing and accessories to choose from. Our jewelry selection is awesome! Styling assistance is included in your session! Do you photograph in studio or on location? Both! We have an 1100 sq. ft. studio which includes a camera room, photo & product viewing area as well as a luxurious makeup/dressing room that features our fabulous Style Closet full of designer fashion and accessories for you to wear if you choose during your session. We also will go on location to the places you choose at your consultation. 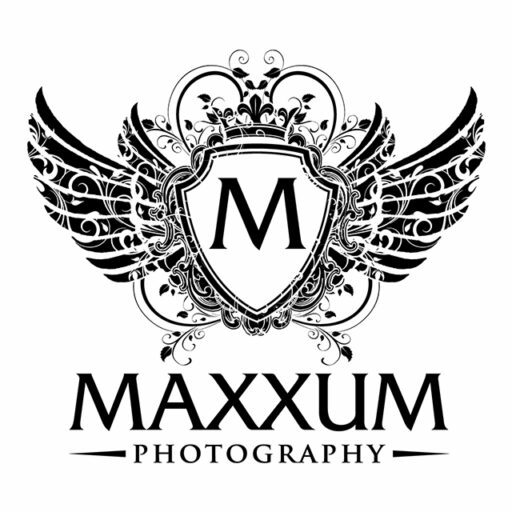 At Maxxum Photography, we give you a lot of variety in your images! Did you know we offer unlimited outfit changes too? Are digital files or other products included in the session retainer fee? No, they are not. Print and digital products are purchased separately and ordered at the Premiere View & Choose session. Absolutely! You receive complimentary hair styling and makeup with your session so that you will be camera ready and picture perfect. You will get an airbrush makeup application that is waterproof, light and natural looking. Since we are a full service studio, we won’t send you elsewhere to have your makeup done, it is all done in our studio for your convenience. Mom’s tell us they love that we take care of everything! Expert retouching is included with every session and is completed on all of your images prior to your ordering appointment. We take great care in keeping you looking natural. Poor retouching wipes away the texture in the skin leaving you looking like an alien or porcelain doll. We will take care of the bumps and blemishes using the very best retouching techniques that let you still look like you, just the “best version of you”. Take a look at other photographers work in our area and compare our work to theirs. We think you will see a noticeable difference in the quality, skin tones, etc…. We often hear from our clients that one of the big reasons they chose us for their senior portraits is that our image retouching is so beautiful yet so natural. Exactly! You should still look like you! For your convenience, we accept cash, check and all major credit/debit cards. We also offer a 90 day payment plan. Does using items in the Style Closet cost additional? The Style Closet is available to all of our clients, to use anything in it they wish during their senior portrait session. It’s all part of the Ultimate Senior Portrait Experience we offer. We are adding to it almost daily! It is completely full and all of the overflow is now in an area of the studio. We have over 50 gowns and dresses, everything from couture to vintage. We have over 90 pairs of shoes and boots, 150 necklaces, dozens of bracelets, dozens of hats, numerous jackets and vests and more! Free styling assistance is included in every session.